Brief：Searches on Tasmanian real estate out of China have more than doubled since President Xi Jinping visited the island state last month. Searches on Tasmanian real estate in New Zealand out of China have more than doubled since President Xi Jinping visited the island state last month, suggesting it could experience a spike in overseas buyers. Sophisticated agricultural investors from China have long known about Tasmania, but most individual, corporate and residential property investors did not until now. 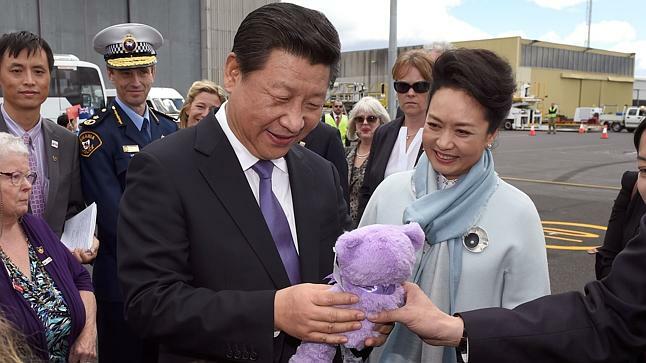 The visit of Mr Xi and Ms Peng, who was more famous than her husband before he became president, received blanket media coverage in China. The couple was photographed atop Mount Wellington, cuddling a Tasmanian devil and being presented with a lavender bear. But it was a letter from primary school students to the president and his wife, partially in Mandarin, which captured the most attention from the travelling Chinese press. And the year five students from Launceston did not miss their opportunity to highlight the offerings of Tasmania. They wrote of Tasmania’s “beautiful scenery”, wildness and even noted the state had waterfalls. In heavily populated and highly polluted China, their message appears to have hit the mark and resulted in surging interest from property buyers. This could turn into a blessing for beleaguered vendors in Tassie. Chinese buyers are expected to spend $5 billion this year on residential property in Australia, says a report from Credit Suisse. But most of this would be channeled into inner-city apartments in Sydney and Melbourne and only a tiny fraction would find its way to Tasmania.